FAIRHAVEN, Mass. (September 6, 2018) - Two years ago, with a challenge from some of golf's best players, the "Titleist Speed Project" was undertaken. The mission of the Titleist Metalwoods Reserach & Development Team was to make Titleist drivers as fast as possible, to engineer every part of the clubhead down to the smallest detail to increase speed. Today, Titleist introduces the final product – the Titleist TS2 and TS3 drivers – that promise faster ball speed, higher launch, lower spin and increased MOI. TS stands for "Titleist Speed", and the result is more distance and forgiveness than ever seen in a Titleist driver. This was confirmed earlier this summer at the U.S. Open at Shinnecock Hills, when the TS drivers were put into play for the first time by tour professionals. Seventeen pros used the TS that week, and now over 150 players are using the new TS drivers and fairways. Justin Thomas was one of the early testers of the TS and provided feedback throughout the development process. At the U.S. Open, he uncorked a 422-yard drive in the first round, the longest of his career. Three weeks later, he won the World Golf Championships at Firestone. The technology that has allowed for the distance gains lies in the creation of the new Titleist Speed Chassis. The titanium crown is 20 percent thinner than that of the 917 drivers, which allowed the weight to be shifted lower and deeper in the clubhead. The face is thinner as well – in fact it is the thinnest that Titleist has ever made, requiring the score lines to be lasered on rather than etched – reducing the weight by six grams. The resulting weight distribution produces the lowest center of gravity (CG) ever in a Titleist driver, which means higher launch, lower spin, and a 12% higher moment of interia (MOI, a measure of forgiveness) compared to the 917. Combined with a new streamlined shape that reduces drag by up to 20%, these new drivers give golfers the freedom to swing faster and watch the ball go farther. The TS2 has a high launch, low spin profile with a modern shape and fixed CG location that spells explosive distance across the face with maximum forgiveness. Players can choose from one of four lofts – 8.5, 9.5, 10.5 and 11.5 degrees. 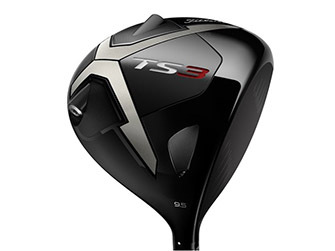 The TS3 has a mid-launch, low spin profile with a more traditional shape and a SureFit CG weight system that allows the player to adjust the clubhead for launch characteristics. The TS3 has three available lofts – 8.5, 9.5 and 10.5 degrees. Both the TS2 and TS3 have 460cc heads, and both (like the 917) have a SureFit hosel with 16 independent loft and lie settings. There are also four stock shafts to choose from – the Mitsubishi Kuro Kage Black Dual Core 50, the Mitsubishi Tensei AV Series Blue 55, the Project X HZRDUS Smoke Black 60, and the Project X Even Flow T1100 White 65. 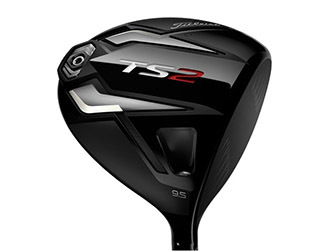 The Titleist TS2 and TS3 drivers will be available on September 28, at a cost of $499. But starting today, players can be fitted to a TS driver at fitting events around the country.